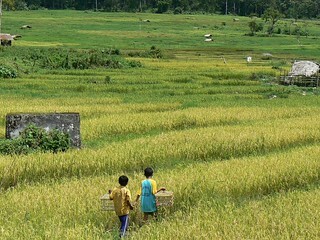 Two boys holding their pet birds play together in the lush rice fields in Geumpang Village, Putri Betung, Gayo Lues district. 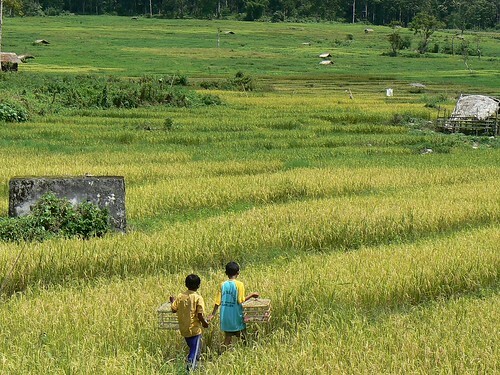 Geumpang village is the main source of rice in this area and is located in Leuser National Park, with its well-maintained forest. One of the objectives of MDF-AFEP is to maintain the forest ecosystem that supports the livelihood of the Acehnese community.